This past week in western Canada has been sooooo HOT and I don't know about you, but when it's hot and my house is without AC, I definitely limit my indoor exposure. At the expense of my craft room reno and planned sewing projects, I spent most of my time this week outside in the sunshine. Up here in Canada summer doesn't last for long so I figured this week I should enjoy it. 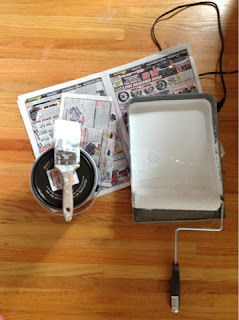 With that being said though, I did my best to prep, plan and get supplies for the craft room reno, as well and begin the start of cutting my first of two wax print quilts. I've had a really hard time starting my wax print quilt for the past few months now. Knowing that the opportunity to get fabric straight from Ghana again in the future is an unlikely event, I have worried about wasting what little stash I have. This week I decided to make a plan and just jump right into preparing the first quilt top. Katie from Sew Katie Did posted last fall about scrap quilting using magic numbers. 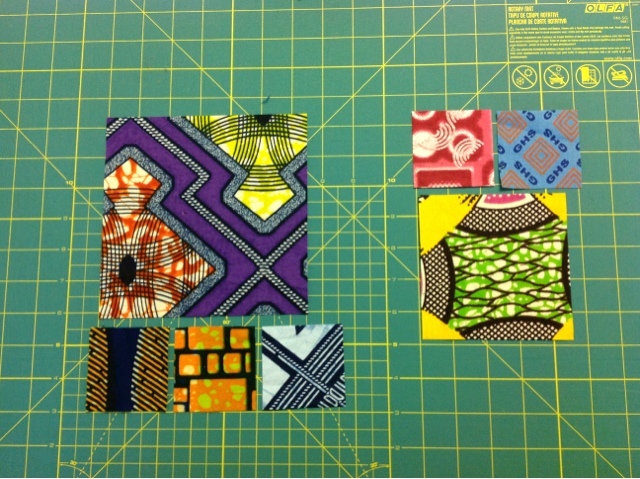 I thought this might be the best 'structured but still somewhat unstructured' way to tackle these vibrant african prints. The above photo shows the beginnings of some prepped squares that I plan on sewing up soon. This upcoming week looks to be more temperate so here's hoping I can bare the thought of sitting indoors long enough to start up my Janome. 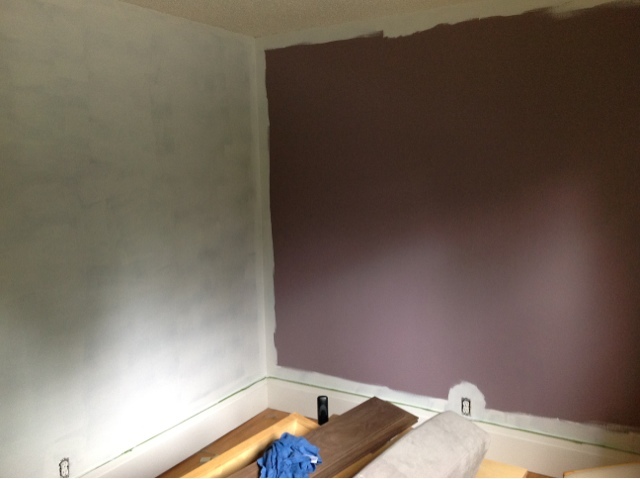 In the meantime I'm saying goodbye to my vibrant purple guest room in order to make way for a fresh, modern sewing space! 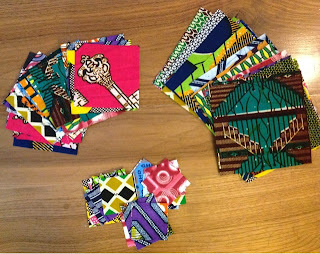 Hello, I came across your blog upon my research into fabric patchwork. I am an artist from Ghana. I once saw a patchwork duvet cover made from my own local African wax print and since then I developed this strong interest in patchwork and decided to give it a try and here I am on your page trying to get a few ideas. 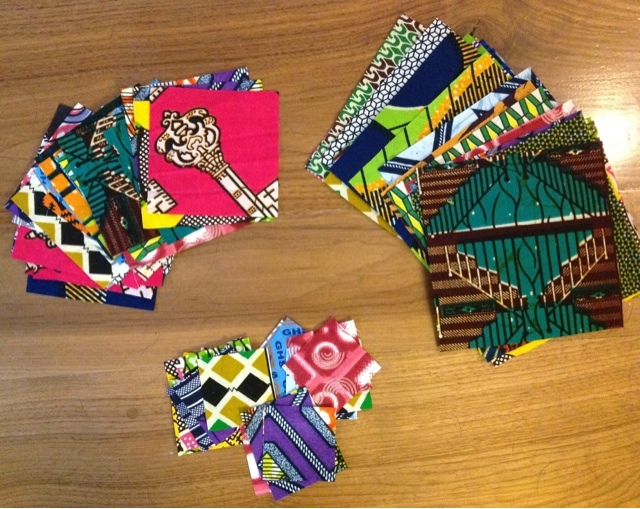 I was very happy when I saw your work (the above work) finally made in Ghanaian African wax prints. I was amazed to see a piece of my former school (Kwame Nkrumah University of Science & Technology - KNUST) cloth in your work lol. This shows you gathered every piece you came across lol. I will be starting my first patchwork very soon and I guess "the opportunity to get fabric straight from Ghana again in the future is a LIKELY event now" wink!